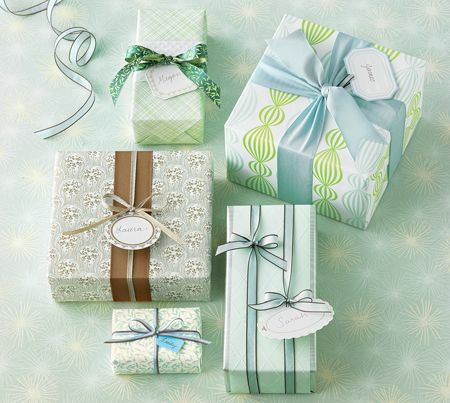 Birthday gifts have become a ritual of appreciation between friends… and sometimes gift-giving is a necessity. I won’t elaborate on that subject matter, but the fact of the matter is, gift-giving is something we cannot avoid, especially during special occasions. I thoroughly enjoy, and practice the ritual of gift giving like most other thoughtful people that live in this world. As much as I love receiving wonderful, useful, and appropriate gifts, I have also received many other gifts. Granted, I for one have not only been an offender of terrible gift-giving, I have also been a victim as well. Confusing as that sounds, there is a lot of truth in it. Regardless how much you dislike or like the gift, you have to give an obligatory happy response after receiving the gift. So why should one have to pretend to like something when he or she really doesn’t? So here is my rebuttal for those who defend the art of “surprise” gift giving. The surprise element: You want them to be surprised when receiving the gift right? And you might think that if you get a gift out of a list, the other person is going to already know what you got them right? Not necessarily. By having a list, the gift receiver is still going to have to wonder about what you are getting them. So in the end, the surprise element is still there, followed by genuine gratitude of receiving something that they actually wanted. The creative element: Unfortunately, a lot of gift-givers want to hold-on to the idea that no matter what gift you choose, the other person will love it. The fact of the matter is, for that to actually happen, the probability is really like 1/100. I have made many friends throughout my lifetime, and for me to count the number of friends who actually was able to get me something like that without a list is probably a handful. Be real, unless they tell you it’s something they want, your gift is probably just as crappy as the last. The difference between gift cards and wish list: Wish lists are better, for many reasons. Gift cards sort of have a negative connotation to them. Most people think that gift cards are tacky, lazy, and not thoughtful – all are which true to some degree. However, unlike a gift card, a wish list requires the gifter to go through the process of choosing the gift, getting the gift, as well as giving the gift… so in the end, you get all of the appreciation, without the tackiness. Why the wish list: A lot of times we tell people what we want out of nowhere (or vice versa), it’s hard for them to remember. Although, one might argue that a birthday wish lists are tacky and shameless… well then don’t make one. But when you actually have friends that want to get you gifts, and are often stumped about what to get you, a birthday wish (or Christmas) wish list is something that will not only save the other person time, but also guarantees a positive result of gift appreciation. As much as I like cash, I do find them as tacky as gift cards. I don’t know why, they were never my “thing”… unless its Chinese new year, then cold crispy bills are always appreciated. Because every time grandma eats, it means we eat too... or at least we hope. Grandma is cutting ham? Grandma is cutting ham!!! !